Ollie Clarke's third goal of the season was enough for Bristol Rovers to defeat bottom-placed Telford and move into the play-off places. Clarke fired an arrowed shot from the edge of the penalty area past Freddy Hall into the bottom corner. Rovers midfielder Andy Monkhouse received a straight red card for a dangerous challenge on Ryan Higgins but the Pirates held on to take the points. 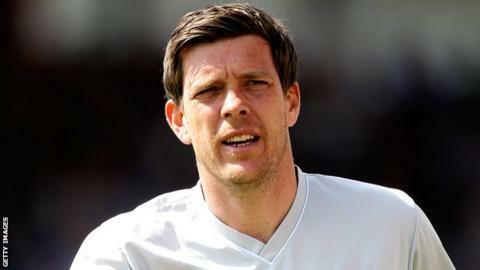 The win moves Darrell Clarke's side up to fourth while Telford remain bottom. Meanwhile, Telford midfielder Jordan Deacey has returned on loan to Conference North side Bradford Park Avenue, from whom he joined the Bucks in the summer. "We didn't deserve to lose, it was a good performance from us and we worked really hard today. "We more than held our own, and we just did not create enough chances to win the game outright. I could not have asked for more from the lads. "After a long trip north in midweek and the amount of effort from the team to win that game, it was really pleasing to see that continue today. "The referee got it right with the red card - but the drop ball incident, I have absolutely no idea what he was doing. "Unless it is a new rule that has come in he shouldn't have given the ball back to the goalkeeper." "I'm really pleased. It is a tough place to come. Torquay found that out. They got beat here and they beat Woking the other night. "I've said it all along - it takes all different sorts of matches and to come away with three points, I'm absolutely over the moon. "I thought the boys put their bodies on the line. They didn't play great but I'm not really interested to be honest, it was about the points today. "Coming to a bottom of the table team, fighting for their lives, it is always going to be a difficult afternoon, but I thought the mentality of the players was very good." Match ends, AFC Telford United 0, Bristol Rovers 1. Second Half ends, AFC Telford United 0, Bristol Rovers 1. Attempt missed. Sean Cooke (AFC Telford United) left footed shot from outside the box is too high. Attempt saved. Adam Cunnington (Bristol Rovers) left footed shot from outside the box is saved. Foul by Godfrey Poku (AFC Telford United). Lee Mansell (Bristol Rovers) wins a free kick. Attempt missed. Sean Cooke (AFC Telford United) right footed shot from outside the box misses to the left from a direct free kick. Sean Cooke (AFC Telford United) wins a free kick. Foul by Sean Cooke (AFC Telford United). Jake Gosling (Bristol Rovers) wins a free kick. Andy Monkhouse (Bristol Rovers) is shown the red card for a bad foul. Foul by Andy Monkhouse (Bristol Rovers). Substitution, AFC Telford United. Josh Hancock replaces Sam Smith. Offside, AFC Telford United. Michael Grogan tries a through ball, but Michael Grogan is caught offside. Mark McChrystal (Bristol Rovers) wins a free kick. Foul by Adam Farrell (AFC Telford United). Will Puddy (Bristol Rovers) wins a free kick. Substitution, Bristol Rovers. Adam Cunnington replaces Ellis Harrison. Substitution, AFC Telford United. Sean Cooke replaces Neill Byrne. Sean Clancy (AFC Telford United) is shown the yellow card for a bad foul. Sam Smith (AFC Telford United) wins a free kick. Goal! AFC Telford United 0, Bristol Rovers 1. Ollie Clarke (Bristol Rovers) left footed shot from the left side of the box to the bottom right corner. Assisted by Jake Gosling. Attempt saved. Sam Smith (AFC Telford United) right footed shot from the right side of the box is saved.